Plot Summary: Naples, 2001. Giorno Giovanna is a small-time crook with one big dream—to become a "Gang-Star." No ordinary thief, Giorno has a connection to the remarkable Joestar bloodline, and possesses a Stand named Gold Experience. His dream starts to become reality when he meets Bruno Buccellati, a mobster from the gang Passione and a fellow Stand user himself. Realizing that they share similar ideals, and both disagree with the gang's harmful affairs, Giorno reveals his goal to Bruno: with Bruno's help, he will reform Passione by overthrowing the boss. 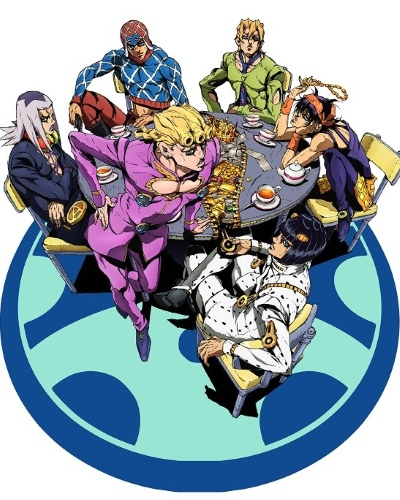 As Giorno becomes a member of Passione, and is inducted into Bruno's squad, he discovers that it is no simple gang; its numbers are teeming with Stand users. Now confronted by other squads of differing loyalties and unpredictable caliber, their goal to change the gang from the inside out will be a tough one. Taking on these adversaries, Giorno attempts to rise through the ranks and inch closer to the boss, a man who is shrouded in mystery.